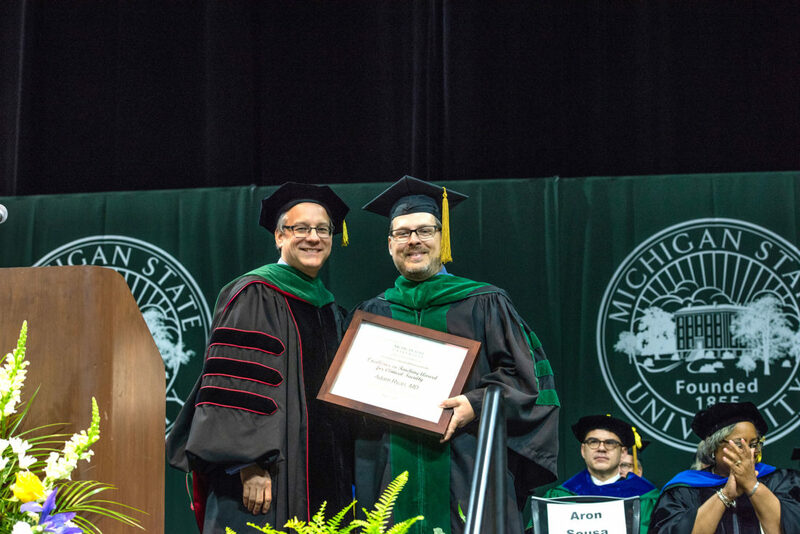 DR. ADAM RYAN, right, an OB/GYN physician who practices with Dickinson County Healthcare System, is shown receiving the Michigan State University Excellence in Teaching Award from Dr. Aron Sousa, MSU senior associate dean for academic affairs in the College of Human Medicine, at MSU’s graduation ceremony in May. IRON MOUNTAIN — Dr. Adam Ryan of Dickinson County Healthcare System recently was presented with the Michigan State University Excellence in Teaching Award. The MSU College of Human Science’s Class of 2018 chose Ryan for the award in appreciation and recognition of his dedication and ability. 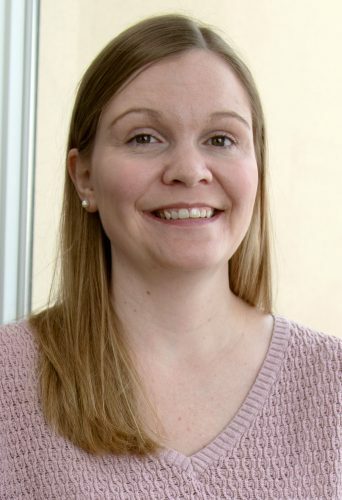 Serving as clinical assistant professor at MSU, Ryan received the award in May at the university’s 2018 graduation ceremony in East Lansing. Ryan had specialized in obstetrics and gynecology, or OB/GYN, for 20 years. He graduated from MSU’s College of Human Medicine in 1998.